New Interview with Drummer Joey Muha! It's amazing, the things you can find on YouTube if you keep searching and digging. Some nights, I can sit on my couch and click so deep in the videos, that I end up watching things completely different than what I started watching. That's how I ended up watching Joey Muha's metal drum rendition of "The Wheels On The Bus". From that point, I ended up watching an hours worth of Joey Muha videos as he slayed traditional kids tunes, cartoon & TV show theme songs, as well as current pop hits, by putting a thrash/death metal spin on them. I even subscribed to his channel so that I could see his new videos ASAP. I was hooked! 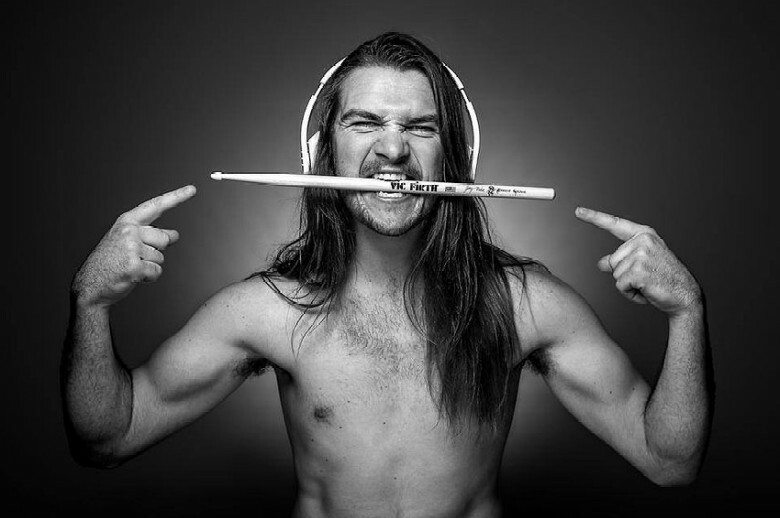 As it turns out, Joey Muha has drummed for Threat Signal & Jungle Rot and is currently the drummer for Toronto-based LITEYEARS. I recently got the pleasure to interview Joey to find out about his current whereabouts, his fun videos, and what sparks his creativity.